Fall is a time for fun, friends, and most importantly… food! 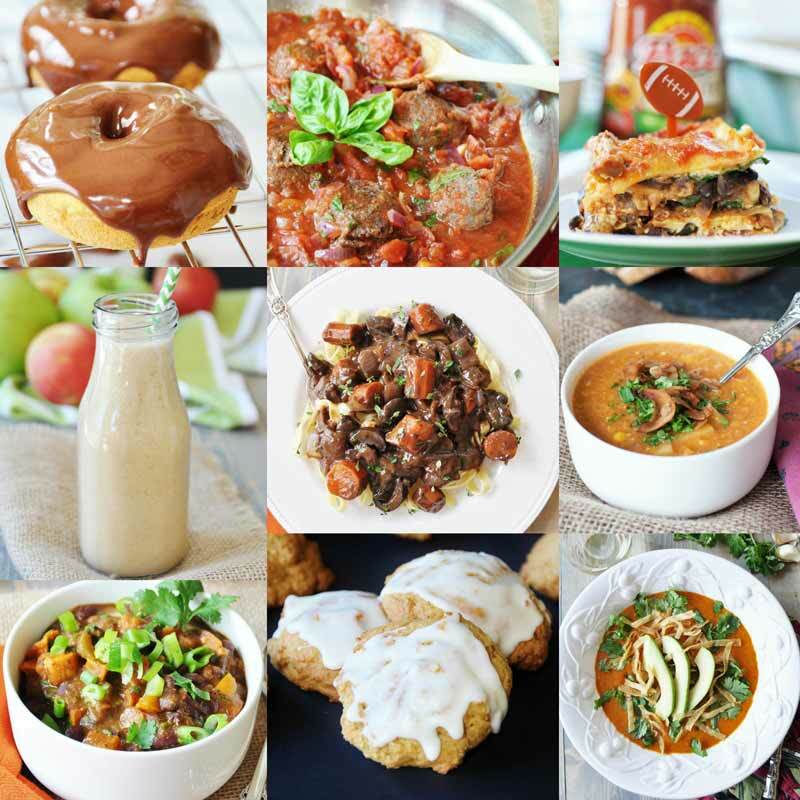 We’ve compiled a list of our FAVORITE VEGAN Fall treats including vegan doughnuts, meatballs, and lasagna! It may still be hot and humid, but fall is definitely making an entrance. The air feels different, it smells different, the trees are beginning to change color, and the leaves are beginning to fall. As much as I love summer, autumn is my favorite season. The crisp mornings and chilly nights, snugly sandwiched between warm afternoons, is pure bliss. The kaleidoscope of colors outside of my windows, sweaters, boots, and denim, pumpkins, apples, and rich and hearty food, ah yes, this is my season. Starting this week I’ll be spending less time outside and more time in the kitchen. I’ve allowed myself some summer freedom, and now it’s time to get back to work. 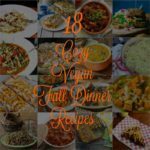 But before I whip out the pots and pans, I’m going to bring back a few of my favorite vegan fall recipes to get me inspired, and to tempt you. 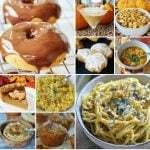 All of these fall recipes are my favorites, and more importantly, they’re my reader’s favorites too. 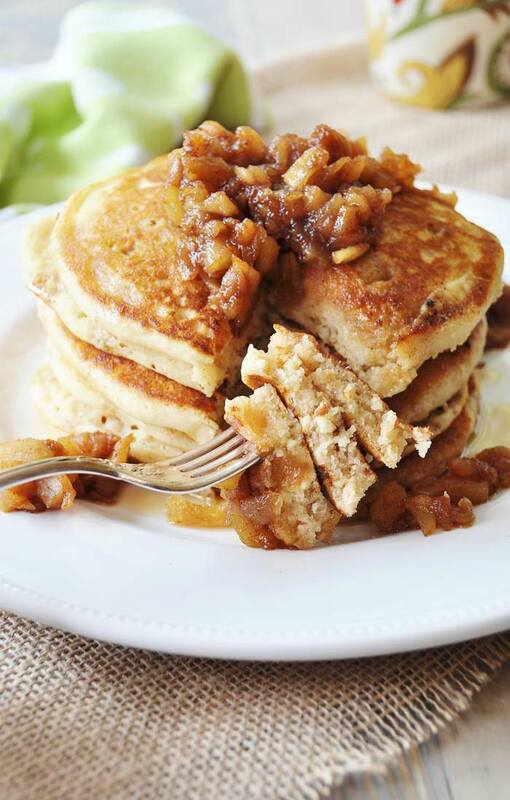 Pancakes that are as light and fluffy as a pillow, topped with the most savory and sweet apple spice compote. These are what Saturday and Sunday mornings are made for. If you’re as pumpkin spice obsessed as I am, these are what dreams are made of. They’re easy to make and even easier to eat. 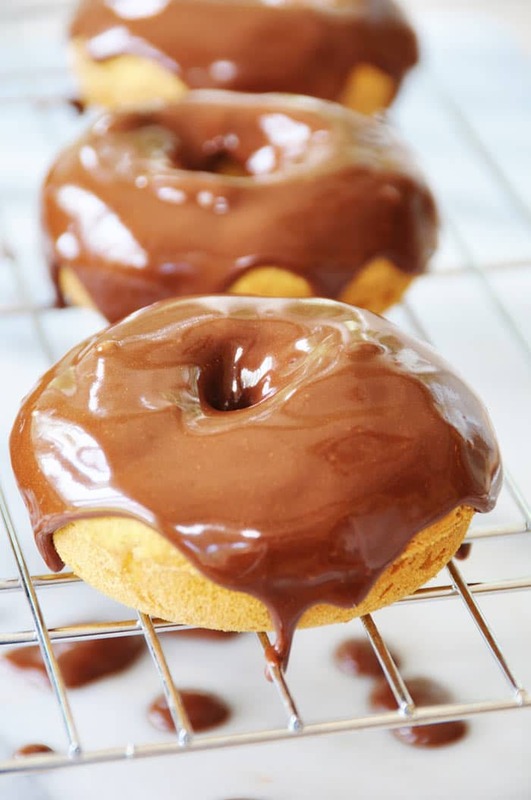 Can you even stand how delicious that chocolate icing looks? I need to make these right now! This thick and smoky chowder with chunks of potato and sweet corn is the perfect soup for fall. It’s warm and cozy and filled with flavor, and it’s easy to make! 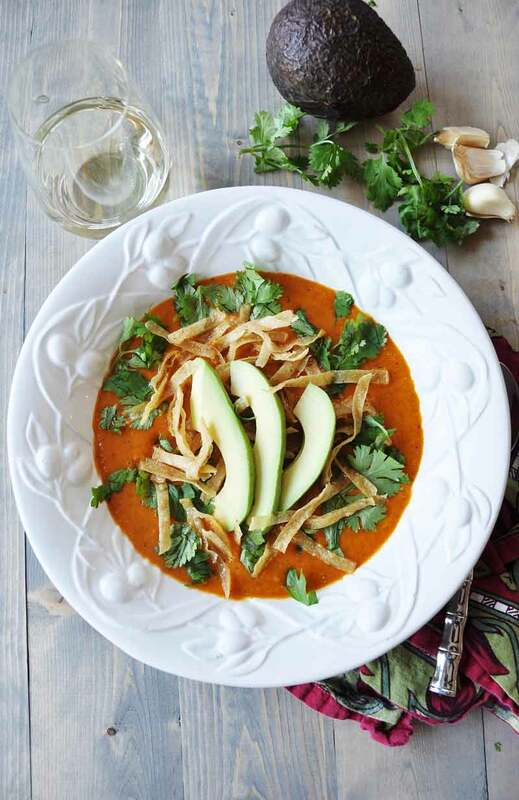 If you could eat Mexican food all day every day, then this is the soup for your colorful fall afternoons, or chilly evenings. It’s spicy, but not too spicy, and so, so good! Autumn and chili, they go together like peanut butter and jelly and avocados and toast. 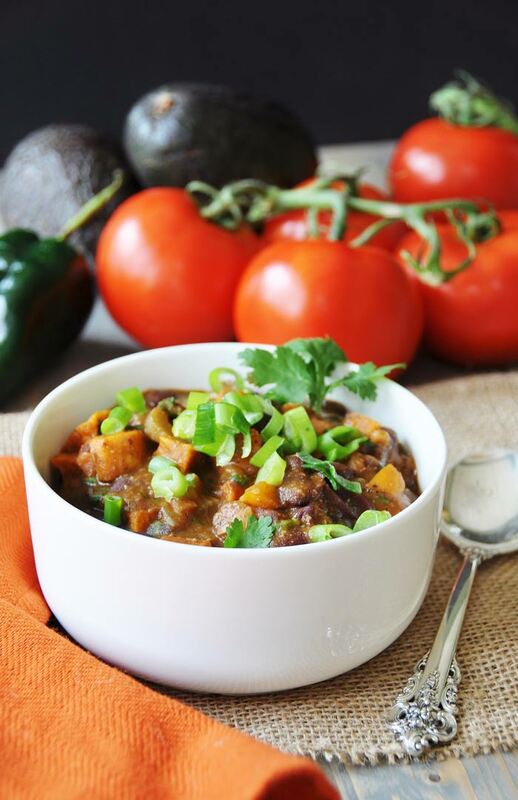 This hearty chili with roasted sweet potatoes and fiery spices will wake up your taste buds. Perfect when eaten next to a roaring fire. It’s not easy to say but it’s SO easy to eat. This is absolutely delicious and so worth the little bit of time that it takes to make. Open a bottle of red and make this with your honey or your BFF on a Saturday evening. 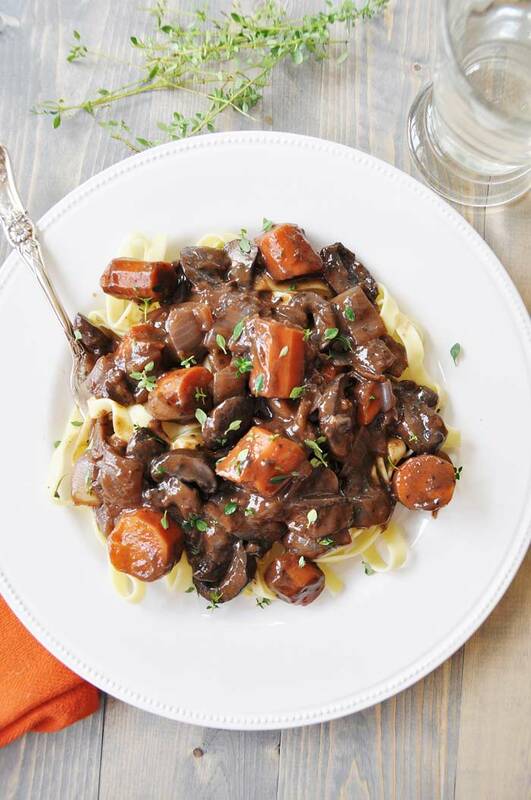 The meaty mushrooms and carrots absorb the red wine sauce, it’s really one of my favorite recipes, and I bet it will be one of yours too. You don’t need meat to make the ultimate comfort food. 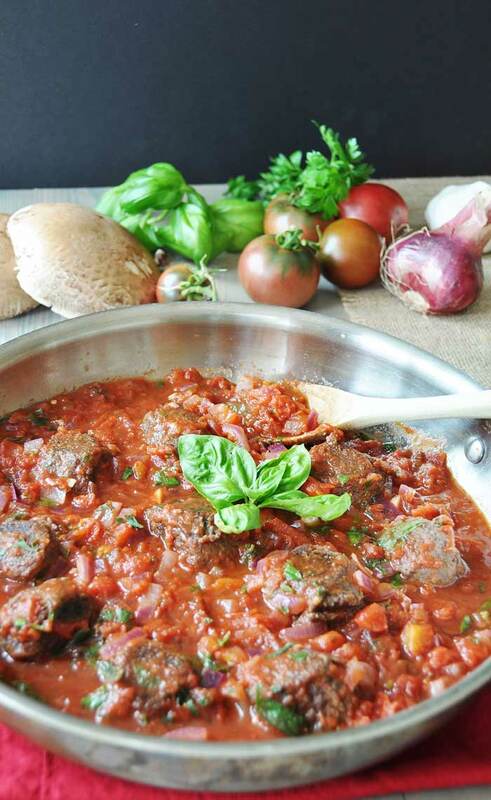 Black beans and a few extra ingredients make the best “meatballs” this side of Italy. Soaked in the most wonderful marinara sauce, these baby balls are excellent on their own or sitting on a cloud of spaghetti. 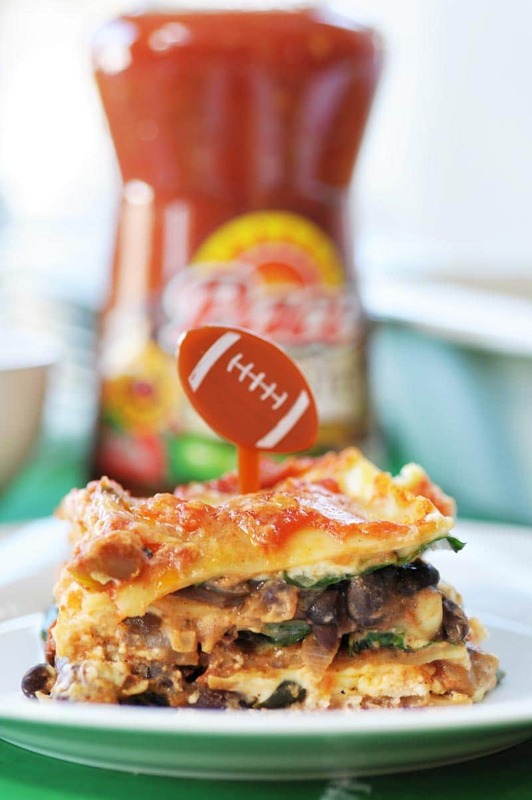 Fall means football, and game day means lasagna! Make a big pan of my spicy Mexican lasagna and serve it up with a side of guacamole. This is a total crowd pleaser! Soft pillows of pumpkin and spice with a glaze. I dare you to eat just one. P.S. 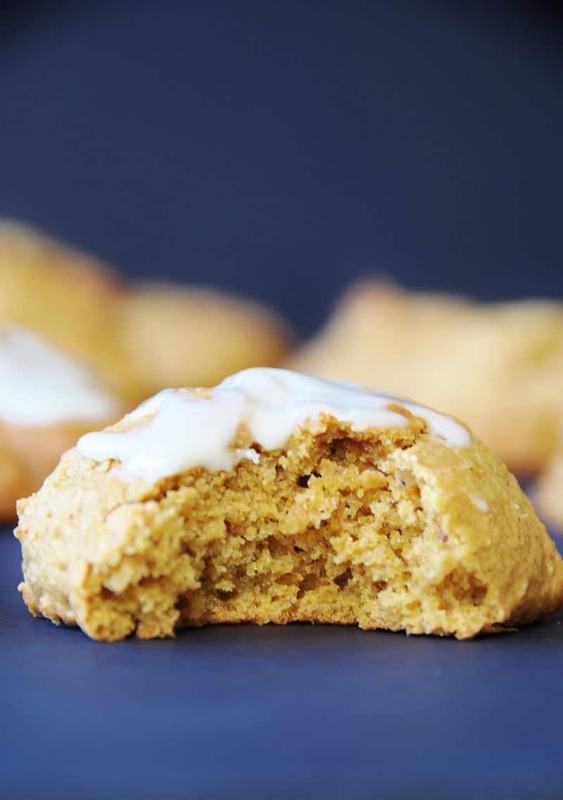 These cookies go perfectly with Califia’s Pumpkin Spice Cold Brew! Definitely not an ad, just can’t help but be obsess with this product! Chewy, dreamy, delicious, and made with chickpeas. Packed with protein and fall spices, this is a dessert you can feel good about eating. 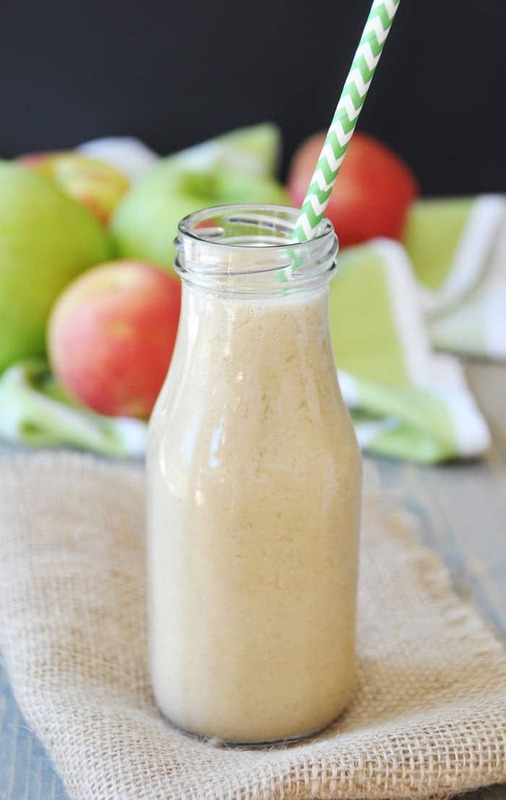 Apples are back, pick your favorite and make this healthy, easy, and delightfully delicious smoothie. It’s a great way to start your day, or make it for a snack. 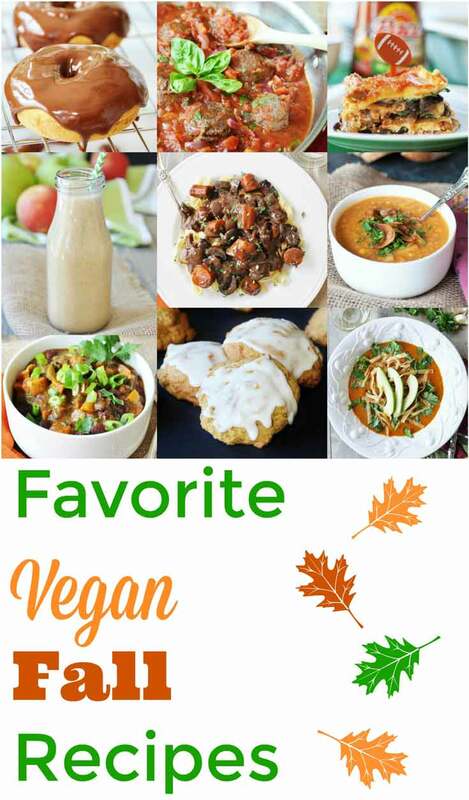 And there you have it, some of the best vegan fall recipes that will make this gorgeous season even better. Which one will you make first? 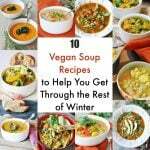 I would like to eat my way through this list! I LOVE FALL and all the coziness it brings! And, yes, I am pumpkin spice obsessed too! Great picks of your recipes, Linda! Oh my gosh, this collection has me ready for FALL! Yay for fall, the leaves are starting to turn here and I already want to go pumpkin shopping. Great recipe inspiration, thanks! Fall is one of the prettiest seasons, I love how colorful the world becomes. I saw pumpkins at the Farmers' Market a few days ago. So exciting! We had to put the heating on earlier tonight. First time this year. As sad as I am that summer appears to be over I do like fall and you can't beat fall comfort food. I love your collection...Such tasty comfort food! Thank you, Pragati! It does seem a little early, but it's definitely on its way. 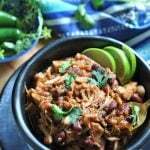 These recipes look fantastic! I'm pinning so I can make them this fall. Thanks, Amy! Come back and let me know what you made. 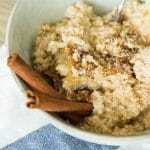 What a great collection of soul soothing fall recipes! I'm not quite ready for fall, I'm a summer girl through and through but I am slowly coming over. And of course all the yummy food totally helps! Thank you, Sophia!Oh, don't get me wrong, I LOVE summer! If I could live in a place that would switch from summer to fall over and over again, no winter or spring, I'd be so happy. What a stunning round-up! I barely made it past those pancakes, but I'm glad I kept browsing. 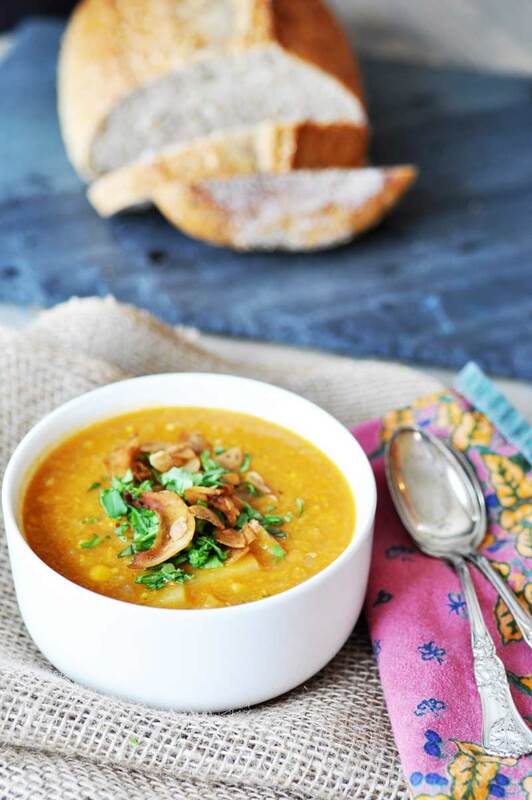 So many amazing recipes to inspire this fall! 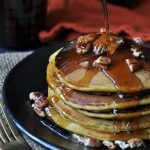 Your roundup has me mouthwatering for fall flavors already!!! Especially all the pumpkin stuff!